But I am still looking back at 2014, but only in terms of books. 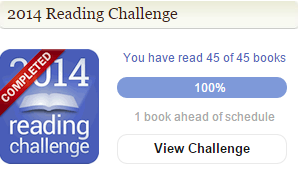 First of all, I am glad that I completed my Goodreads challenge. 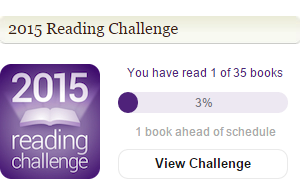 I started the year with the initial target of 25 books but gradually increased my target to 45 and read 46 books. I really envy people who can name one favorite book or author. I can’t do that so, here are my 10 favorite books from 2014, in no particular order. Do tell me about your reading pledge for 2015. Love your top ten list. Some really great recommendations there. All the best for your reading goals in 2015, and overall wish you a happy new year! Loved your top ten list….I had planned to read 24, a modest target compared to yours and yet I could manage to read only 12. Hoping to finish 24 this year though. Happy new year to you and good luck with your reading list! Thank you Rohit. All the best for 2015. I am sure you will meet your target this year. Thank you so much for your lovely comment. I know I am little weird in that regard. One moment I will pick a classic or historical fiction, another moment I will pick humor or graphic novel. I am also intentional trying read and appreciate more number of genres. PS: BTW, I loved both the books !! 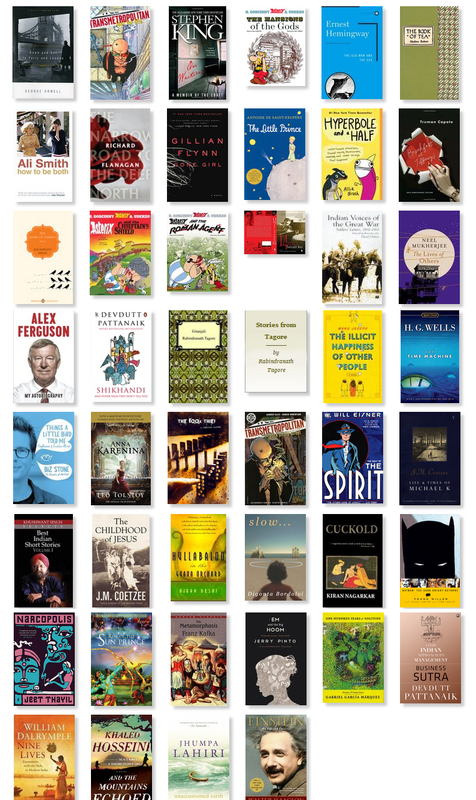 I have pledged to read 125 books this year. I never keep a specific number in mind. There are sporadic periods when I binge and times when I abstain from books. Also, I tend to wax and wane from thick novels to shirt stories. So basically, I like variety. As for 2015, I intend to BE read than TO read. I’m sure you know what I mean! I exactly know what you mean. All the best to you.